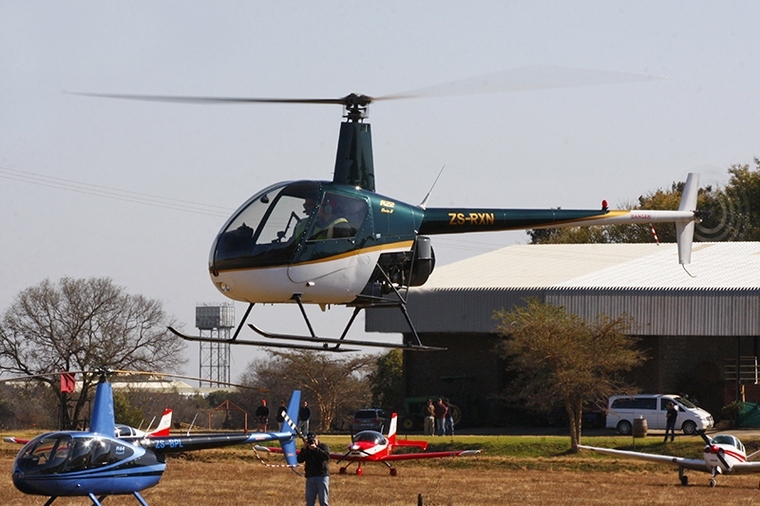 Zandfontein hosted their first of hopefully many fly-in's in conjunction with ATS Helicopters on Saturday 26 July. 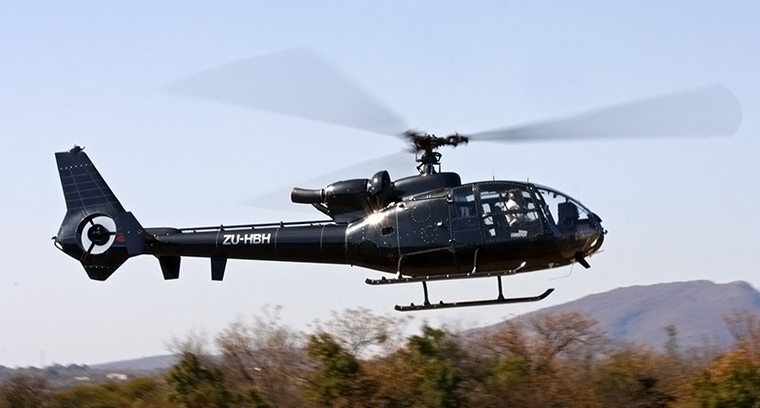 Fifteen aircraft made the trip to Zandfontein that nestles in the Magaliesberg Mountains approximately 4 miles northwest of the Hartebeespoort Dam wall. 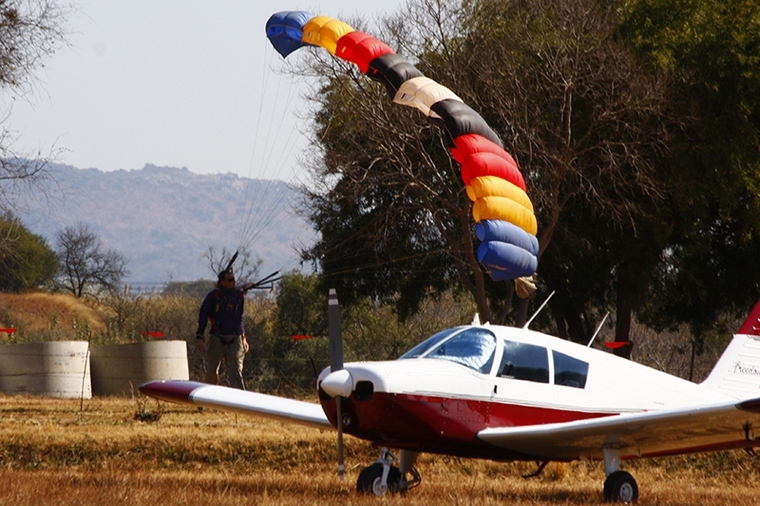 The 900 meter runway, 20/02 was constructed only a month ago by the owner Dannie Liebenberg. 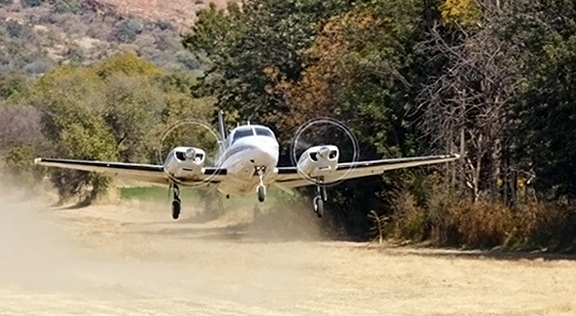 Dannie who worked as a professional hunter in Botswana and other African countries has extensive experience in creating runways in the African bush. Dannie and his wife Sophia have long wanted to start a food market and restaurant on the property but due to it being slightly off the tourists "beaten track" this never came to fruition. That was before their daughter Christelle, an avid enthusiastic student pilot at ATS, convinced her dad to build a runway and open the place to the aviation community. The restaurant is located on a lawned terrace overlooking the airfield and is the ideal destination for a breakfast, lunch or weekend fly-away. After sampling their fare I can highly recommend their pepper fillet, it must be up there with the best I've ever tasted. Dannie and Christelle are also planning on erecting permanent tents along the river for anyone that feels like flying and staying for the weekend. ATS brought along their Sling 4, Sling 2 and a host of Robinson 44's. Hugo Visser and the regular Petit crowd flew in with their two Alouette II's and an Alouette III. It's always a pleasure to see these pristine ex-military aircraft being flown around the countryside. Henly Air was represented by a Robinson 22. 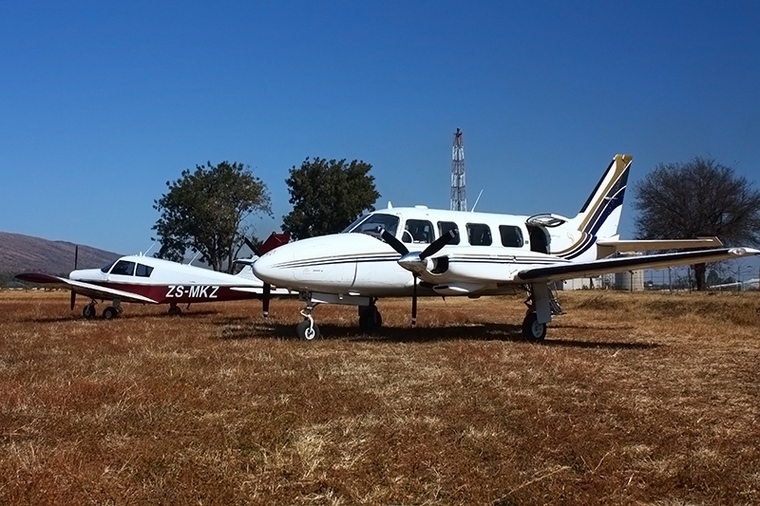 A Piper Chieftain PA-31 dropped in from Grand Central making it the first ever twin to land at Zandfontein. They later comfortably took off on the downhill on 20 with plenty runway to spare. Anton von Willigh flew in with his beautifully restored Westland Gazelle, flying a quick circuit over the field showing just how agile this wonderful helicopter is. The fixed wing numbers were made up by a veteran "V-tail" Bonanza and a Piper Cherokee, both making the short hop from Wonderboom Airport. Mike Rumble from SkyDiversity literally dropped in for a quick breakfast. He jumped from one of ATS Helicopters Robinson 44's, expertly manoeuvring his canopy and landing on the grass terrace outside the restaurant. 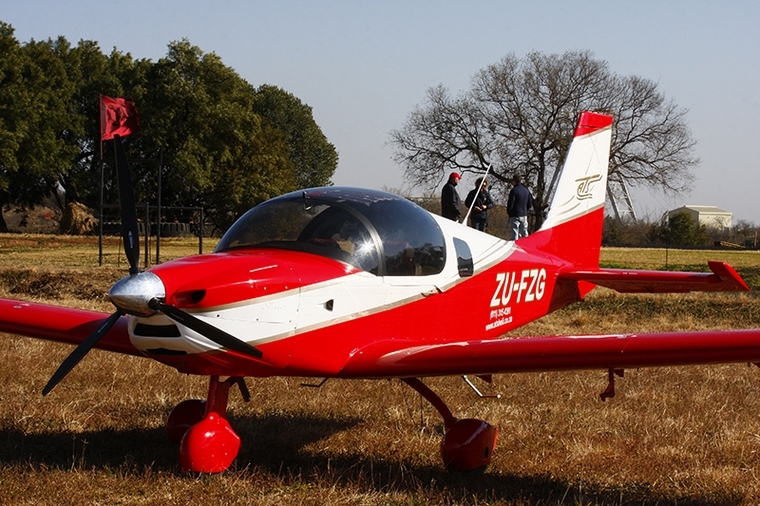 The Fly-in was a great success and everyone that made the trip was given a taste of real country hospitality in the beautiful bushveld surroundings of the North West Province.